Offering you a complete choice of products which include ceramic raw materials, talc powder, vietnam calcium carbonate and soapstone powder. With the inclusion of advanced technology, we are engaged in offering a comprehensive range of Ceramic Raw Materials. This ceramic raw material has topnotch quality and is available in quality range and specifications. 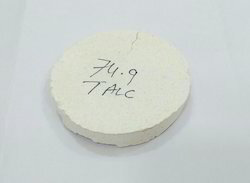 It is inorganic, nonmetallic solid which has been prepared by the action of heat. 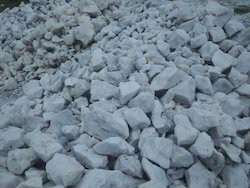 It is mainly used for development of bricks, pipes, white wares and other similar items. 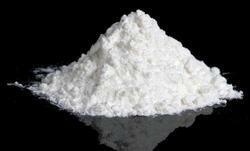 We have very good quality of Talc Powder or Soap stone powder for ceramics, porcelain and others. Good MGO % above 32% give higher level of whiteness. Available in mesh sizes from 200 to 600 mesh. With the help of highly skilled professionals, we are engaged in offering a qualitative assortment of Vietnam Calcium Carbonate. The natural form of calcium carbonate, these powders have high dispersibility, high impact resistance, accurate dimensional stability, low oil absorption and easy processing; which acts as the filler in plastics. These powders are essential for man-made fibers’ (naturally transparent) illustration that provides whiteness in plastic products and guarantee excellent color intensity.